In sum, while Magna Carta certainly represents the enduring nature of our legal order, it also underscores just how fragile the rule of law is. As we rightly celebrate what we have held onto for so long, we must also recognize what could have been lost. Magna Carta, like our own Charter of Rights and Freedoms, is by itself only a document and is therefore only as good as those who are tasked with interpreting and enforcing its provisions. Magna Carta turned 800 this week. After eight centuries, it remains the foundational text of Anglo-American law. Nevertheless, it would be foolish to downplay Magna Carta's significance. 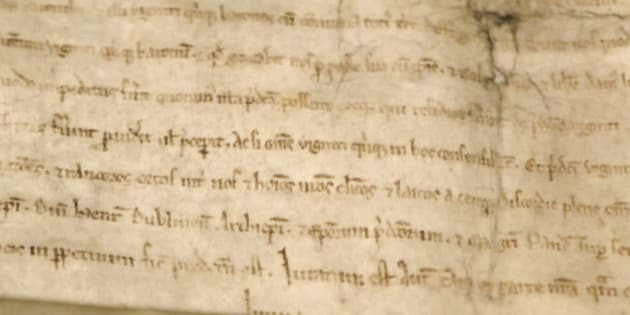 Magna Carta entrenched certain individual rights; it established for the first time the concept of no taxation without representation, which laid the groundwork for an elected parliament; and it provided that no person could be deprived of liberty except in accordance with the law of the land. Most importantly, Magna Carta put forth the concept that is known today as the rule of law -- the notion that no man, including the sovereign, is above the law. It is from this basic concept that our rights, freedoms and prosperity are made possible. For the first half of Magna Carta's life, its destiny as a sacred legal text was far from certain. No sooner had the ink dried than the charter was repudiated in its entirety. The original Magna Carta remained the law for only nine weeks until it was annulled by the Pope. It was reissued the following year, this time with the consent of the papacy. However, the provisions of this second version had been watered down significantly in favour of the Crown. The charter was reissued twice more over the next decade. The fourth iteration passed in 1225 is the version we know today, but it did not become an official English statute until 1297, eighty-two years after the king's rebel barons made their demands at Runnymede. During the 14th century, Magna Carta appeared to be a staple of the English constitution. However, by the mid-15th century its importance had begun to wane, as had the rule of law in general. By the sixteenth century, the medieval belief in the supremacy of law had given way to the despotism of "divine right," and Magna Carta had fallen into obscurity. It was not until the early 17th century when reformers such as the great Chief Justice, Sir Edward Coke, revived Magna Carta (and arguably exaggerated its meaning in the process), that the Great Charter took its place at the centre of the English legal system. This reaffirmation of Magna Carta helped inspire the Petition of Right in 1628 and the English Bill of Rights in 1689 -- both of which set the stage for the American Bill of Rights a century later and codified individual liberty across the entire Anglosphere. In sum, while Magna Carta certainly represents the enduring nature of our legal order, it also underscores just how fragile the rule of law is. As we rightly celebrate what we have held onto for so long, we must also recognize what could have been lost. Magna Carta, like our own Charter of Rights and Freedoms, is by itself only a document and is therefore only as good as those who are tasked with interpreting and enforcing its provisions. We are tempted to view history as one inevitable march toward progress, but the reality is very different, as the history of Magna Carta's application aptly demonstrates. This is the central lesson for a society that is ever obsessed with the new and increasingly dismissive of the old. Our constitutional order may be a "living tree," but that tree must always grow firmly from its roots. Our laws must be capable of adapting to new circumstances and realities, but new laws must be passed within the framework of an enduring legal order that is itself largely static and unchanging. Indeed, it was the departure from Magna Carta and other legal traditions that led to royal absolutism, and it was the reaffirmation of those ancient traditions that helped bring England into the early-modern era. We are fortunate as Canadians to live in a society that not only shares in the cultural inheritance of Magna Carta, but which enjoys one of the oldest written constitutions in the world. Our success has been tied directly to the durability of our constitutional structure, which is itself a reflection our unwavering commitment to the rule of law. We will remain a free people so long as we do not lose sight of that fundamental truth.